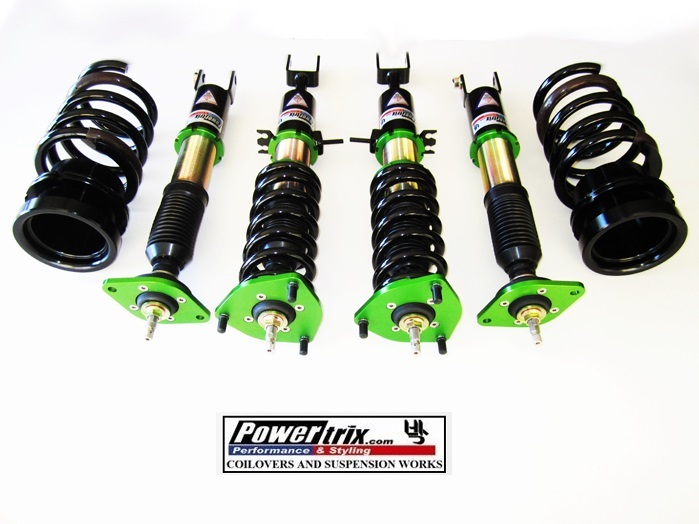 The POWERTRIX (SS) Sport Street Coilover System is the most complete and fully featured street Coilover kit on the market. 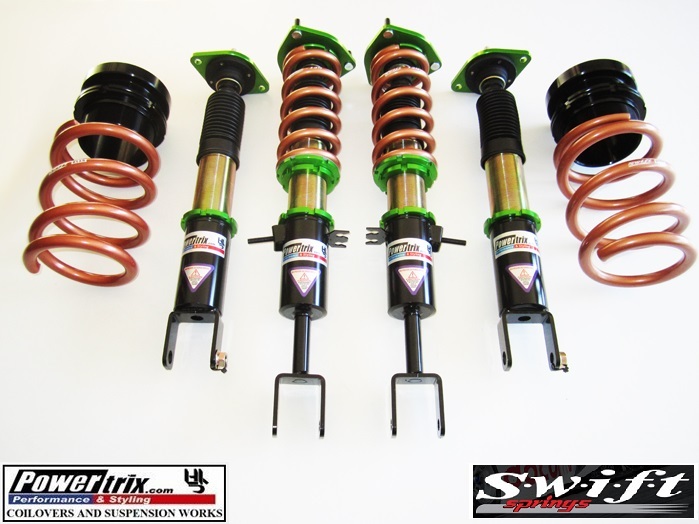 Unlike all other entry level units on the market which required the use of the stock shock upper mounts and bushings, the (SS) Sport Street Coilover System is now complete with upper mounting hardware and is now a true complete bolt in system. 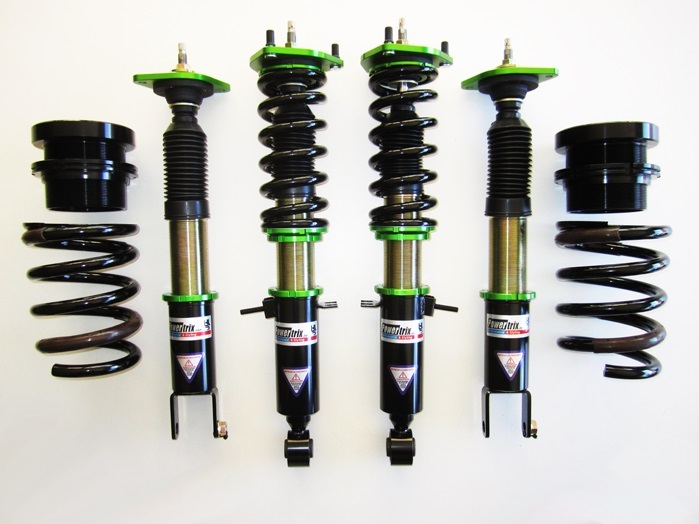 With our new SS Coilovers, the tedious process of disassembling the stock shock upper mounts and bushings just to find out that you may need to buy new hardware is now non-existent with the installation. 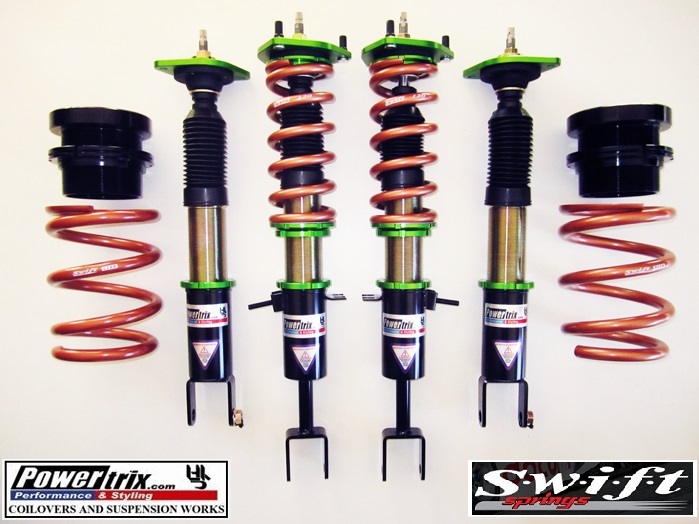 These new SS upper mounts are fitted with a synthetic butyl bushing in place of a pillow ball. 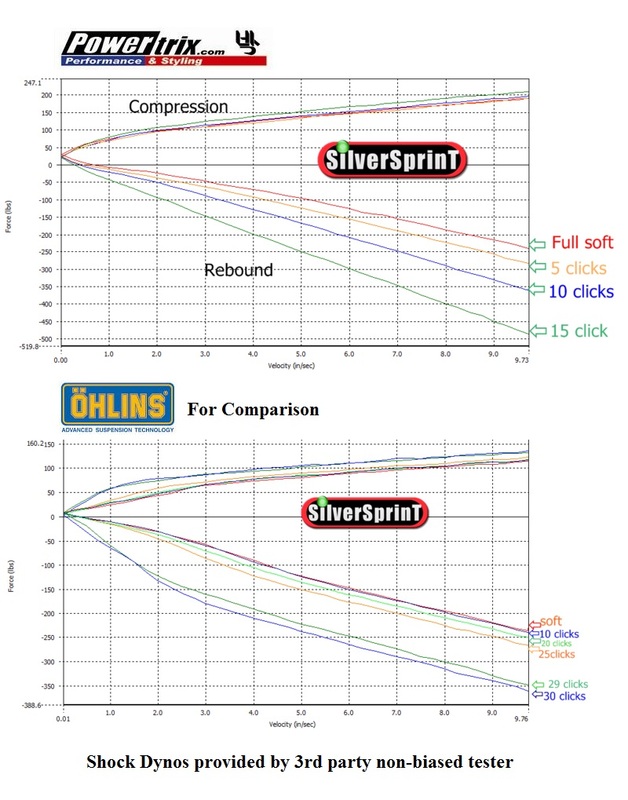 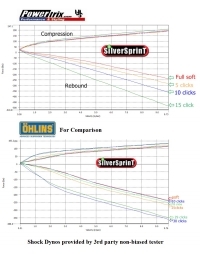 This bushing combines just enough density to transfer suspension energy properly yet not overly stiff to help with dampening the stiff ride quality that is inherent with conventional race Coilovers and solid pillow ball mounts. 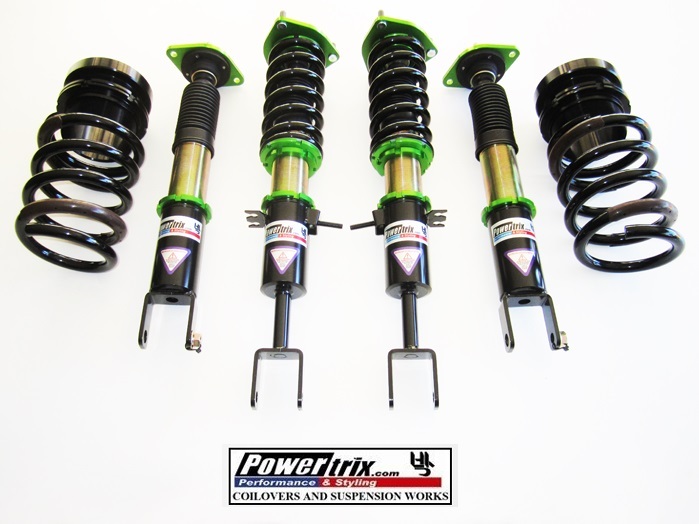 Also unlike most entry level coilovers, that adjust ride height through spring preload, the POWERTRIX SS adds an extra dimension of adjustment with independent ride height adjustability through the threaded bottom mounting brackets. 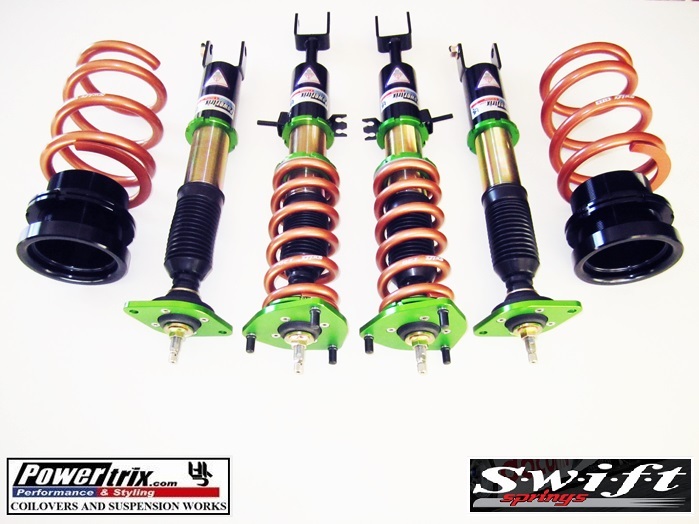 With this set up it properly separates spring preload and ride height, a feature only found on upper line coilovers.